Hi everyone. 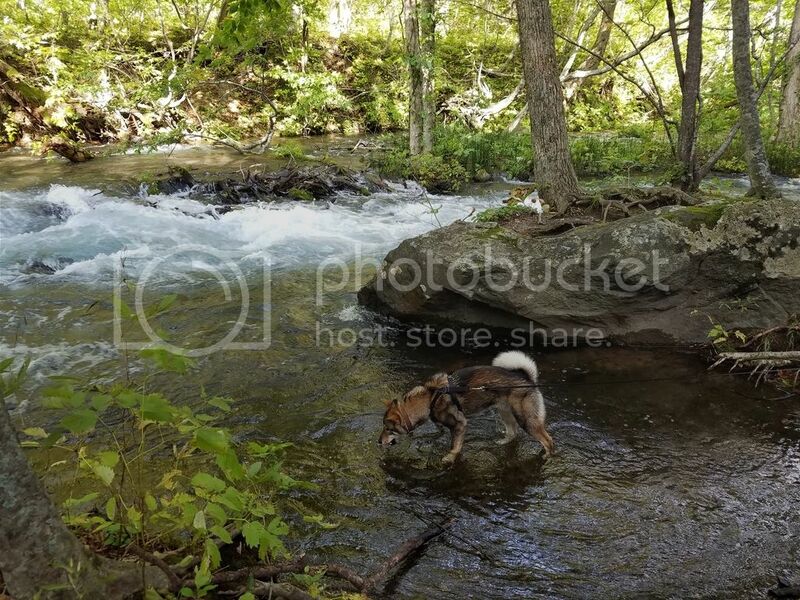 This thread will be all about Ajax, our now almost 6 month old Shikoku-Ken boy. 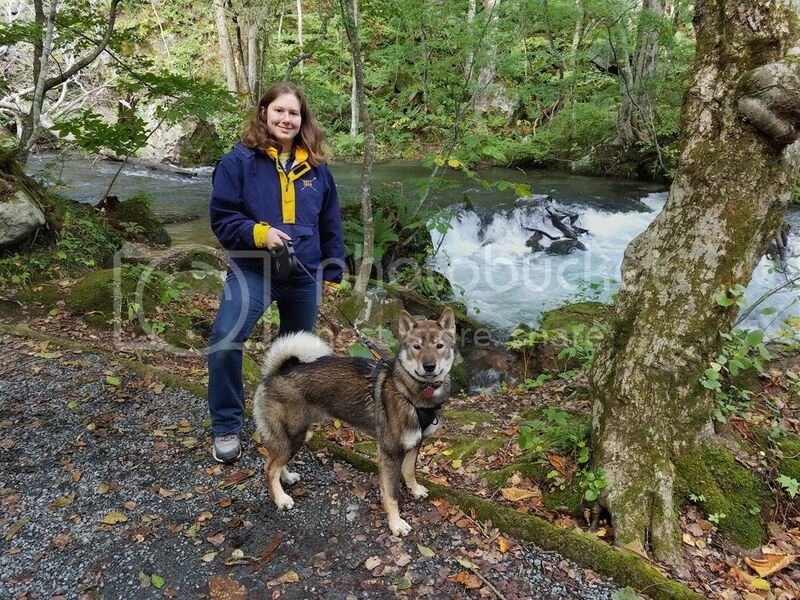 We took Ajax camping at the Tanesashi Campgrounds. 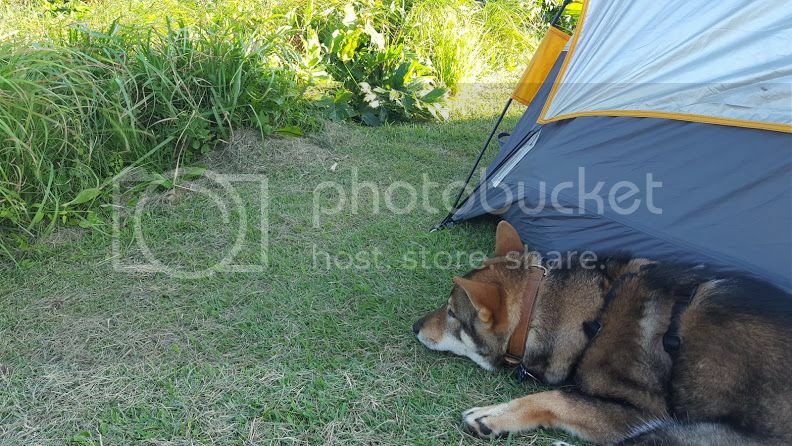 The Tanesashi Campground is a very dog friendly camp ground on the northernmost part of Honshu. 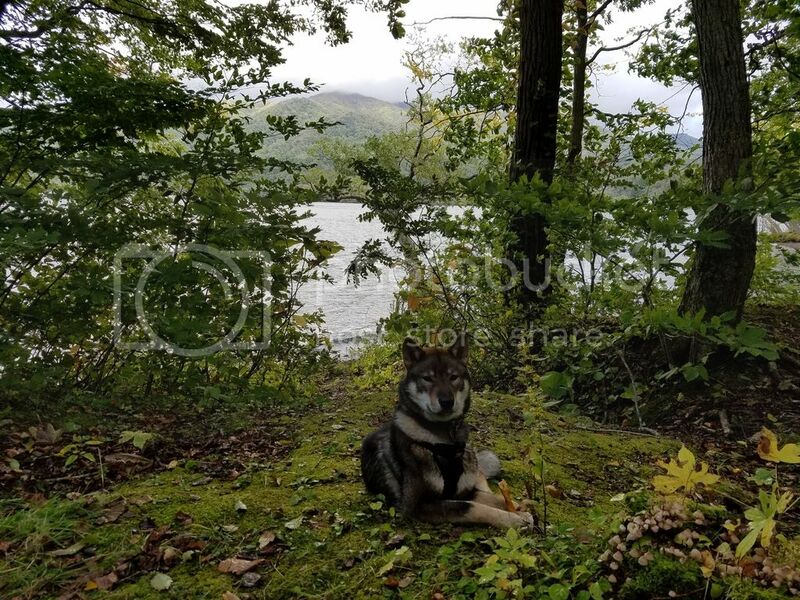 If you are looking for a dog friendly place to camp in northern Japan, I would highly recommend it. The area is absolutely gorgeous and known for the natural grass that grows right up to the sea. Above is Ajax relaxing by the tent. We brought a stake and cable to secure him. The neighboring tent had their shiba secured to a tree. The camping area is on the grass and there is a 2 km wooded trail that that runs along the coast to a popular swimming beach. 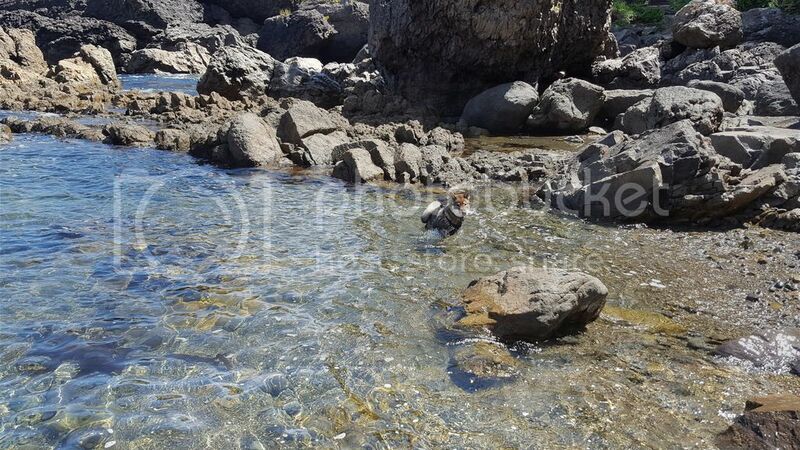 On the way there is a sheltered cove that Ajax enjoyed playing in the water and running on the rocks. Too bad that hooman is ruining the photo. 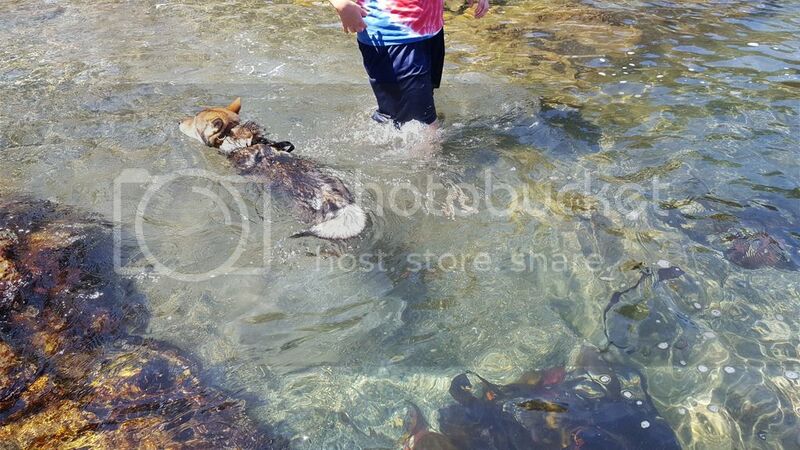 BTW, Shikoku CAN swim! We ended the day with ice-cream on the beach( there was also a camping area there too) He's the spoilediest. 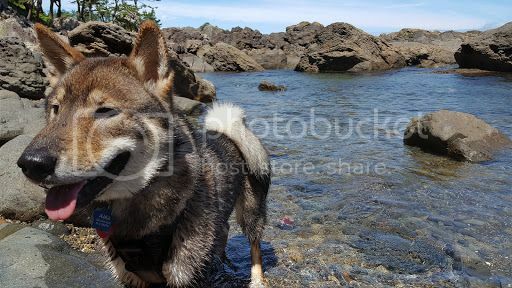 Awwww, he likes to swim!!! That's awesome. Mine don't like water much :p The last photo with ice cream is WAY TOO CUTE!!! That looks like so much fun! Ajax is so handsome. Thanks. :) He went from the cutie-est to handsome. He still has those puppy joints in his front legs. When do those go away? He's also super fluff. Three different people in one day (some in English and some in Japanese) commented on how fluffy he is. I can't believe how thick his tail and neck fur is. I'm waiting to get arrested for having an "embedded" collar him. We got him a nice, padded, thick leather collar that is super lose, but it just looks absurd on him. He will shed. Soon. Good luck. The joints will change as he finishes growing. Thanks. The way you say 'soon' and 'good luck' is kind of foreboding. I'm sure the house will be a mess once he starts. I can't imagine how these guys handled the summers in Shikoku when he looks uncomfortable in the Aomori summer. They must have been high in the mountains. I bet he'll love the winter here though. 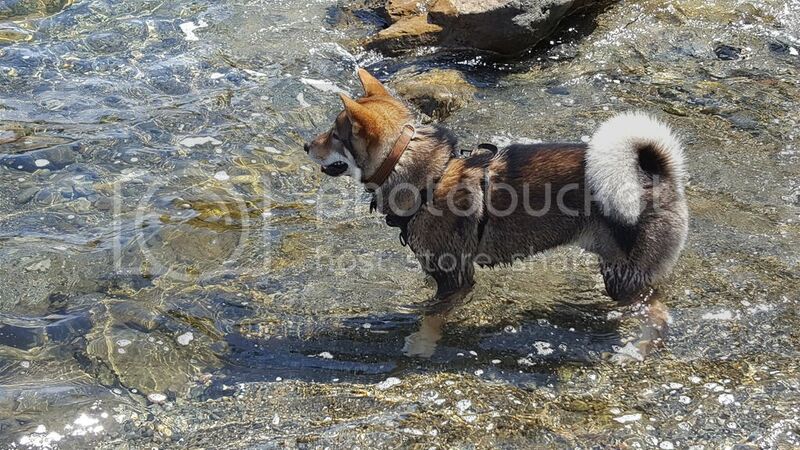 I like seeing him swim! Excellent! 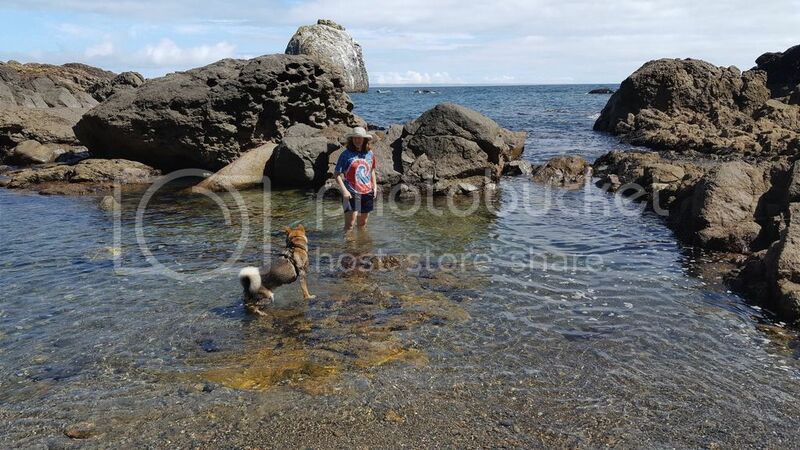 My Kais love swimming as well. I think he may have being a bird dog in his future. We've been working on water retrieves. Here's a video from a month ago. When we train, he wears a life jacket, since he's not completely comfortable swimming long stretches. He's good swimming without one for play. Darn dog is going to give himself a soft month by picking up chestnut burrs. He seems to think that they are balls. Absolutely beautiful dog! Those pictures of him in the water are absolutely beautiful, and the ice cream pic is just too cute!! <3 Lucky dog to have such a great owner! 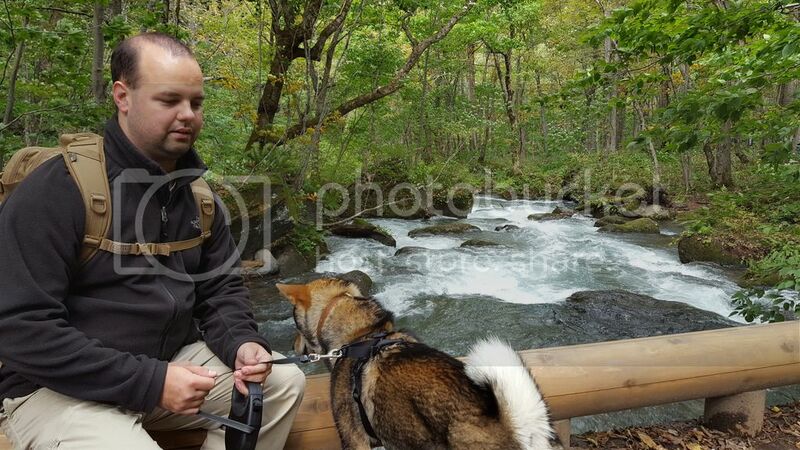 Most campgrounds in Japan don't allow pets so it's been a real challenge to find places that we can take Ajax with us that are a reasonable driving distance from Misawa. 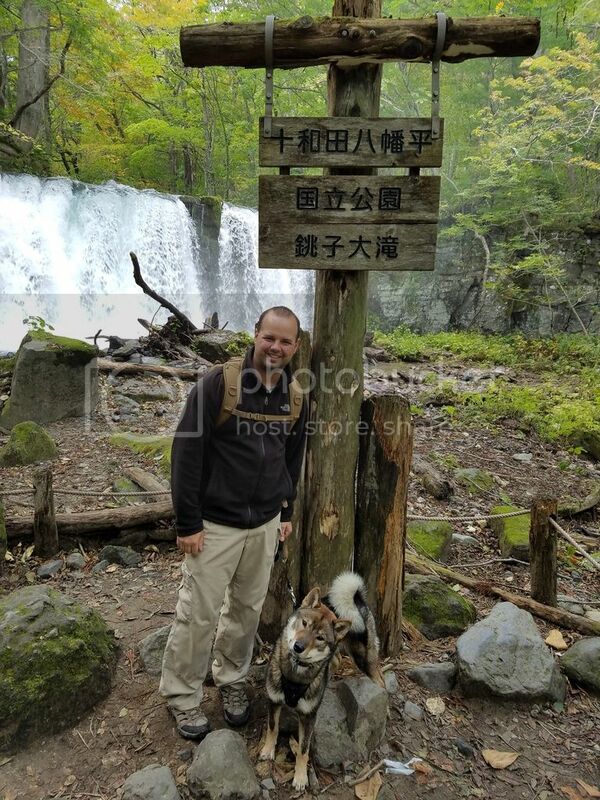 Even if they do allow dogs its often not advertised (even in Japanese), so I will be posting places to take your dog if you ever find yourself in Northern Japan looking for things to do with your Wan-chan. 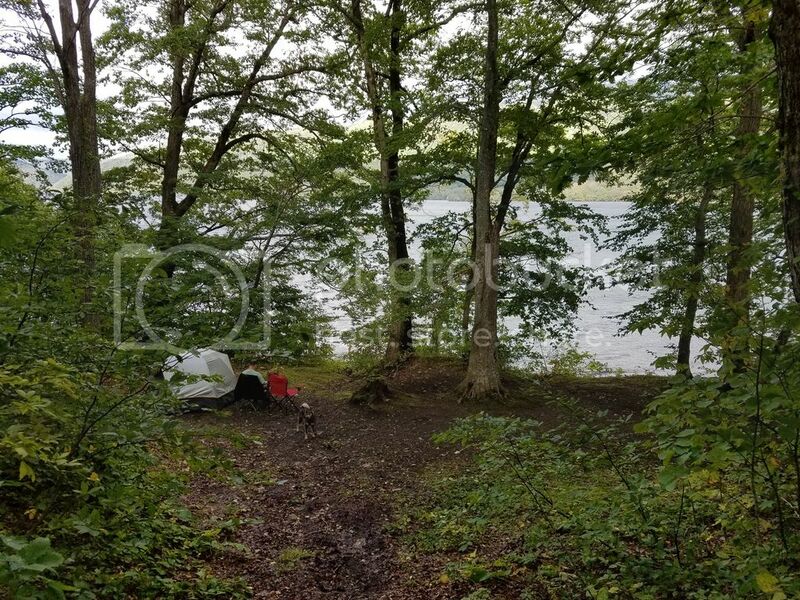 2nd in our series of dog friendly camping in Northern Japan is the Utarube Campgrounds on Lake Towada. They are open from 1 July to 31 Oct. Fees are 200 Yen per tent plus 300 Yen per person as well a parking fee. They also offer electrical hook-ups for auto-camping and cabins. The cabins have showers, toilets, and electricity and look pretty nice but I don't think dogs are allowed. The main camping area has gravel and honestly is a little disappointing and crowded, but you are allowed to pitch a tent anywhere as long as it does take a space reserved for auto-camping, cabin parking, or common area. The common area is a small beach on a spit going out into the lake. There are also toilets (both Japanese and Western style), showers, areas for washing dishes and disposing trash. Dogs are allowed as long as they are on lease. Here is our campsite. The sesame coat really is good camouflage. Ajax handled the 1.5 hr drive in both directions well with out throwing up, but only because we forced him to keep his heads up and out the window or at least looking out the window. We had him harnessed in the back seat. I feel like most of the advice that I see about avoiding carsickness in dogs is incorrect. Keeping them in a crate close to the floor because it limits the car's motion is going to make them more sick because they don't have a visual reference and not feeding them on the day of the trip is just going to result in a car sick dog that doesn't have anything to throw up. Speaking from experience, there is nothing worse then being motion sick on an empty stomach. Of course you don't want to feed right before the trip, you want the food well settled. 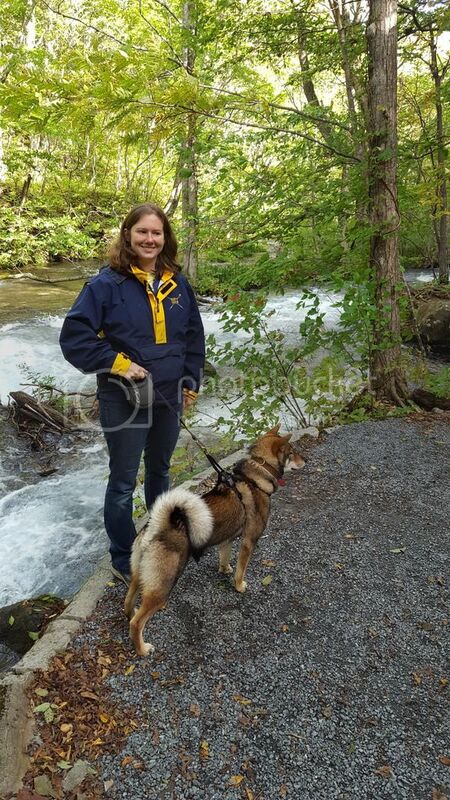 There are also guided canoe tours that leave from the camp ground that welcome dogs. They are advertised as Canadian Canoe tours and you can sign up at the Tourist Center that is located at the beginning of the Oriase Stream (about 30 min from the camp grounds). We didn't get a chance to try this ourselves as they were already reserved. 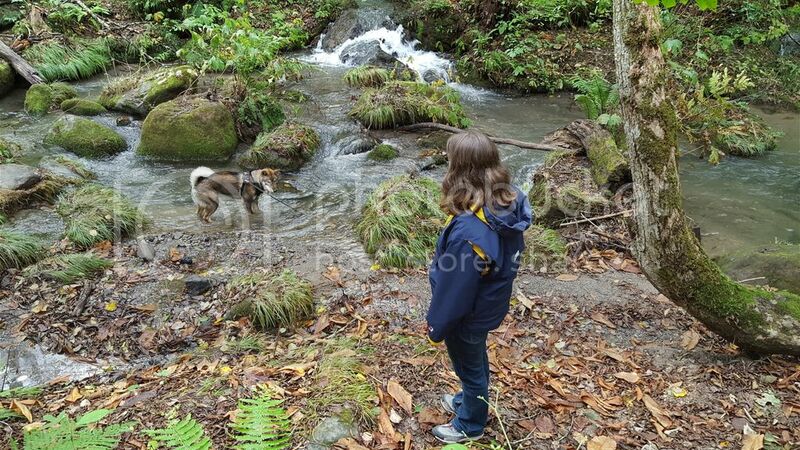 After spending the night at the campgrounds, we hiked the Oriase Stream trail the following day. 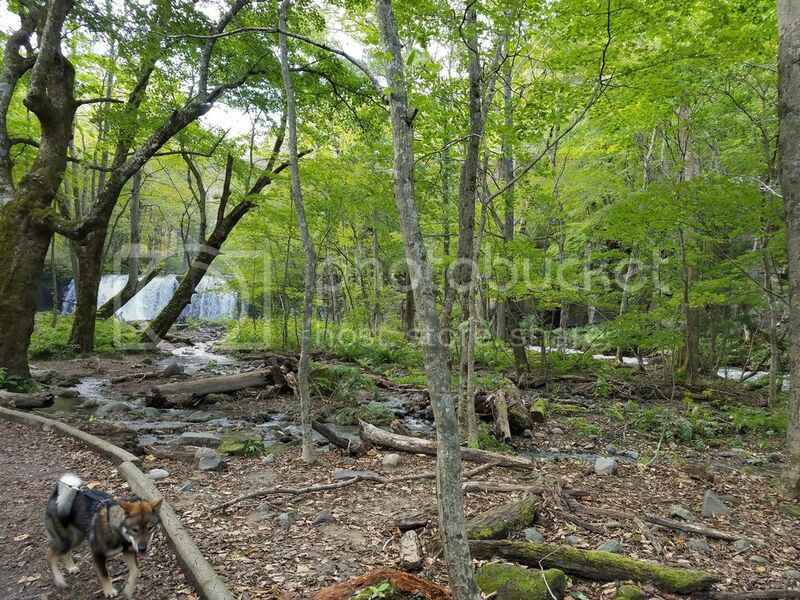 The Oriase Gorge starts at Lake Towada and through it runs Oriase Mountain Stream. 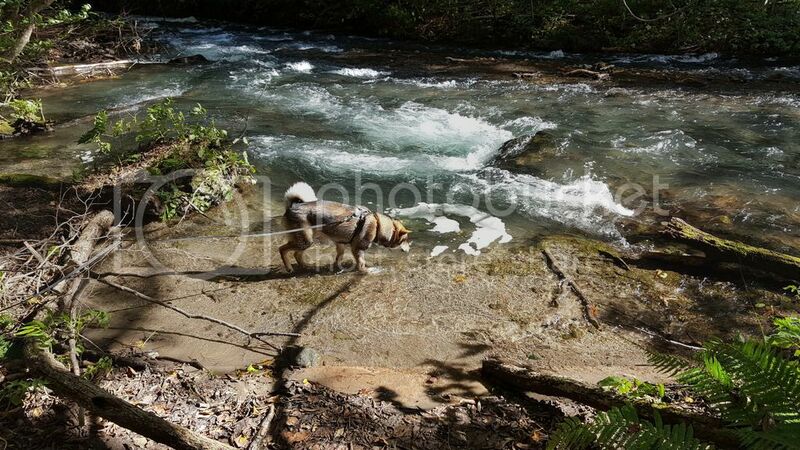 The trail along the stream is 14km and takes about 5 hrs to slowly walk. Dogs are allowed but they must be on lease and not left unattended. 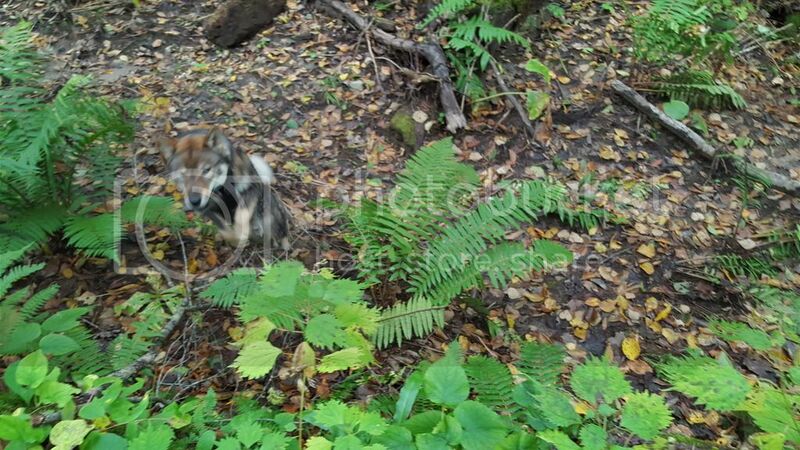 We didn't encounter any other dogs on the trial and a good number of people seemed uncomfortable around him :( even though he is really calm and non-reactive. The exception was one older woman who ran us down shouting "Wan-chan, Wan-chan!" (cute way to refer to a dog in Japanese as dogs say "wan" instead of "woof") Apparently she owns a Hokkaido herself and Ajax looks like her dog. That's the second person who thought that he was a Hokkaido. Geographically it would make more sense. 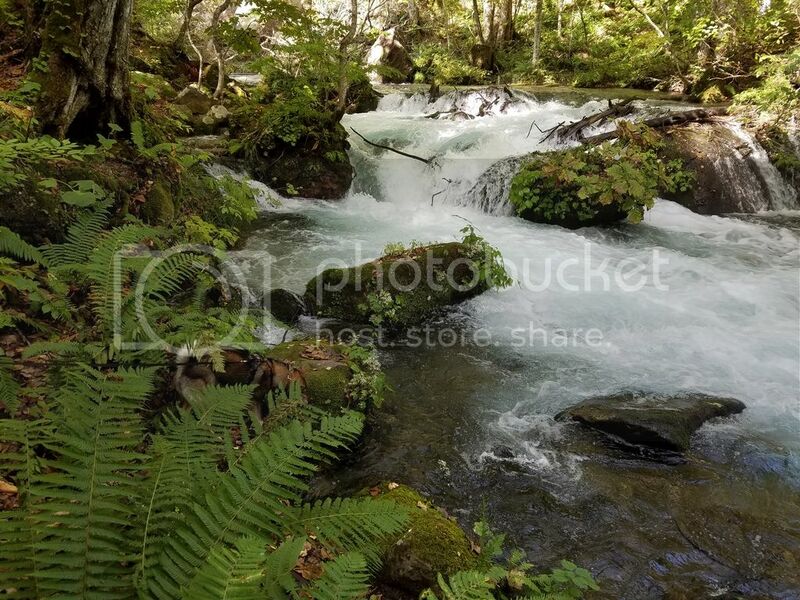 The stream is absolutely gorgeous with multiple rapids and waterfalls. The only detractor is the road that runs parallel to the trail. At points the trail is right next to the road, at others it actually crosses the road. The trail and road were both quite crowded. There are multiple pull-outs along the road that you can park. We didn't complete the whole trail, but walked about 3 hour worth using our car to jump to see different sections. It gave us a great opportunity to try out the new extendo-lease (reinforcing bad lease skills, but so much fun!). Trying to stack. I wish I was as photogenic as he is. The benefit of extendo-lease. He loves jumping. 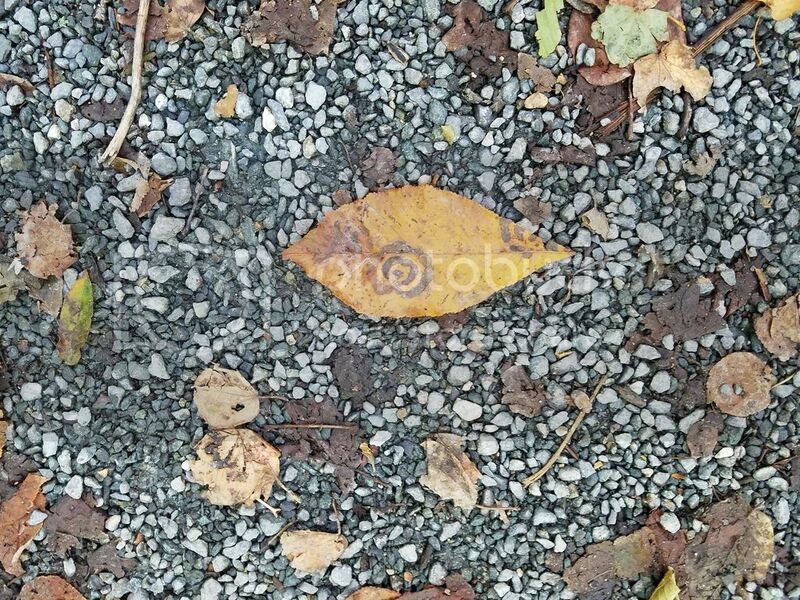 I guess Naruto was here... sorry couldn't resist. After we got home, even after a 3 hours walkie, he got the zoomies in the backyard. 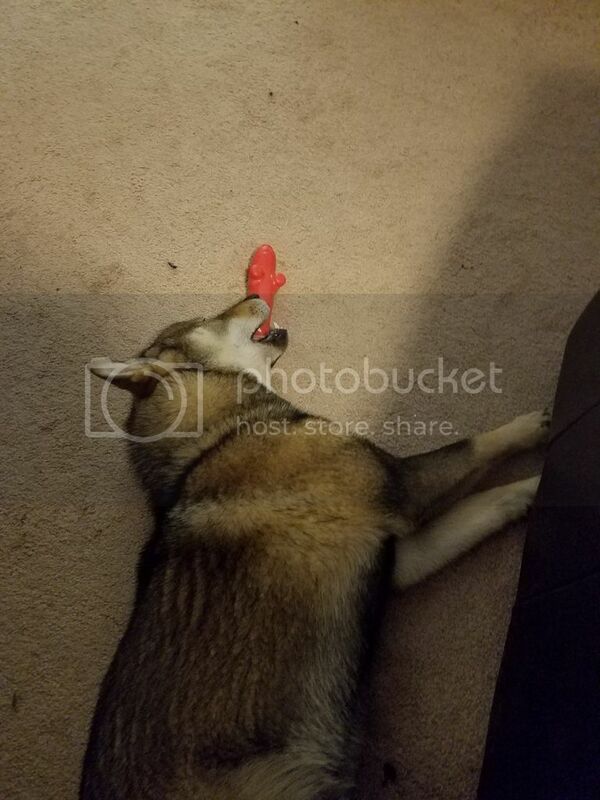 Afterwards though he fell asleep with his chew toy in his mouth. That looks like a beautiful place! And Ajax is amazingly handsome. 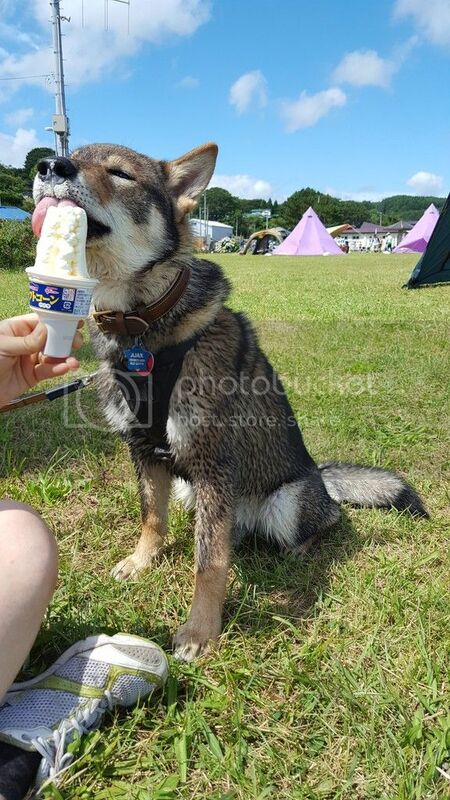 3rd Part on "Dog Friendly Camping in Northern Japan" is the Yagan Valley Campgrounds in Mutsu. Yagan Valley Campgrounds offer great tent camping. They do not have power hookups or cabins to rent, but do have bathroom (Japanese style only) and kitchen facilities. They also a common area with an indoor sitting room. Three days of camping with two people and one vehicle cost us a little over 2000 yen. 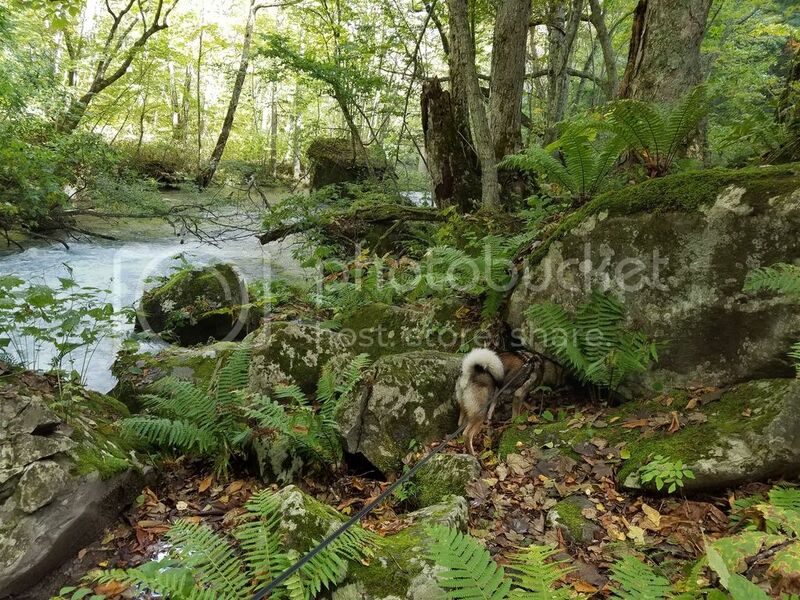 The best part is the easy 2 hour (or 3 hrs with detours and sniffing everything) hike that takes you in a loop around the river in the valley. Educational display at the campgrounds of a local subspecies of trout that are special in that they were formally anadromous, but had their access to the sea cut off by a dam and instead of going extinct they adapted to being landlocked. Hand-dug rail tunnel. Yes the trail goes through the tunnel. There is a turn in the tunnel so it is completely dark when entered from either side. Exploring an abandoned hot spring that is right on the river. This abandoned pool is located very near "Fufu-kappa-no-yu" an operational hot spring or onsen run by the municipality. Getting spoiled. Snacks and food are available at the gift shop located at "Fufu-kappa-no-yu." First time I've ever seen Harlequin ducks in the wild! And finally what I think is a Hokkaido!